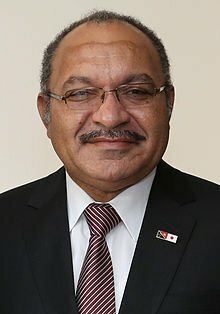 Peter O’Neill, Prime Minister of Papua New Guinea, has announced that he is maintaining regular dialogue with Joko Widodo, President of Indonesia on the issue of West Papua. PNG has raised concerns about the human rights situation and the safety of all West Papuans, as well as other Melanesian communities. Mr O'Neill said that he was maintaining dialogue with Jakarta in a "respectful manner... with a focus on building mutual understanding in relation to the safety and security of our millions of Melanesian brothers and sisters across our border". He said PNG remained a strong supporter of the work of the MSG Secretariat based in Vanuatu, saying the work of the sub-regional grouping had to stay relevant for the people of Melanesia.